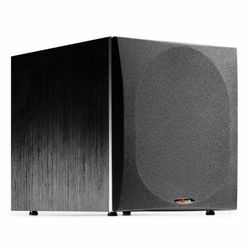 The JBL PRX718XLF is a perfect subwoofer for people who need much bass power. This is a model designed by one of the world-leading companies that offer various audio solutions. 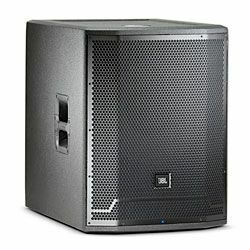 The JBL PRX718XLF has various features that make this is a great option both for music and films. This model outputs perfectly clean and deep bass sound. The construction is durable and it is properly engineered, so you will get o noise or unnecessary vibration. 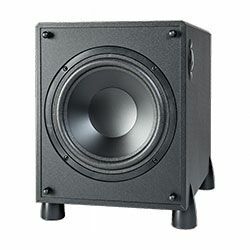 This JBL PRX718XLF review will be extremely helpful for people who want to get a perfect subwoofer. The JBL PRX718XLF looks massive with its 18-inch driver located on the front panel. This model also features a venting port located on the front panel as well (right under the driver). However, everything is covered with a detachable grill. 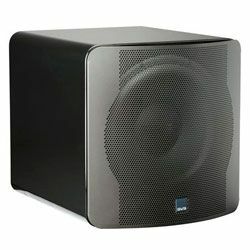 This subwoofer has dent-resistant steel grilles, which are cloth backed. The body of this subwoofer is made of plywood, which makes the whole construction stronger and more durable. The woofer is made of polymer, which allows getting high volume without causing any noise or vibration. The enclosure is vented. The cabinet has tongue and groove joints which are protected by the DuraFlex finish. This model features suspension points which facilitate the setup process. The back panel has various switches and ports. This model has 2 XLR 1/4 inch combination inputs and 2 XLR loop-thru. The ports are designed properly, so you will get no noise. The front panel also has a small LED-light which indicates the current state of the subwoofer. it can tell you if the subwoofer is turned on, when it reaches the output peak and when the model is ready to pass audio. The dimensions are 27.2x20.6x28.5 in, while the weight is 81 pounds. It is quite heavy, but this model has two handles with rubber grips. The PRX718XLF specs will amaze even the most demanding customer. The maximal output power is 1500 W, which is enough to cover a huge area with the clean and deep bass sound. The frequency response ranges from 30 Hz to 103 Hz. the internal crossover frequency is 90 HZ DSP controlled with the 48 dB filter slope, while the loop out crossover frequency is 120 Hz analog with the 24 dB filter slope. It allows you reaching the perfect blending of the subwoofer with your other speakers. JBL also used the dynamic control technology for input – it features Dbx Type IV limiter circuit. The maximum SPL is 134 dB peak. This model supports normal and reverses polarity. To control the sound, even more, this model has the Hi-Low pass filter. This is a smart model and it can turn itself off if there is no signal input. Users of this model claim that it is extremely powerful and it outputs heavy punchy sound. Some customers like the features this model has, like the hi-low pass filter and the auto-off feature. Customers also like how this model is built – everything looks amazing, but it also has a nice feature – you can turn off the light on the panel. Many customers claim that this model is large if you compare it with other subwoofers. This subwoofer is also quite heavy and it is a problem if you are a musician and you carry your own equipment everywhere. Therefore, you may need a crew and the weight of the subwoofer makes it challenging to place it. The PRX718XLF setup process is not very complex since all ports are easy to reach the ports. However, many customers claim that the most challenging moment is to place this subwoofer since it is very heavy. 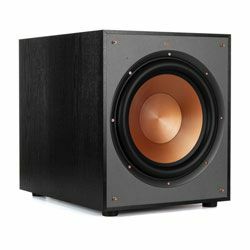 The JBL PRX718XLF is a truly amazing subwoofer and it proves that JBL knows how to satisfy their customers. The JBL PRX718XLF is not only a super powerful model, but it also has various features and it is quite flexible, you can change JBL PRX718XLF settings and blend it with other speakers you have. It also looks modern and the front grille is powder coated so it is very durable. Of course, this model may cost you some money, but in return, you get a perfect solution that can handle a wide range of frequencies. It is a perfect option for audiophiles.